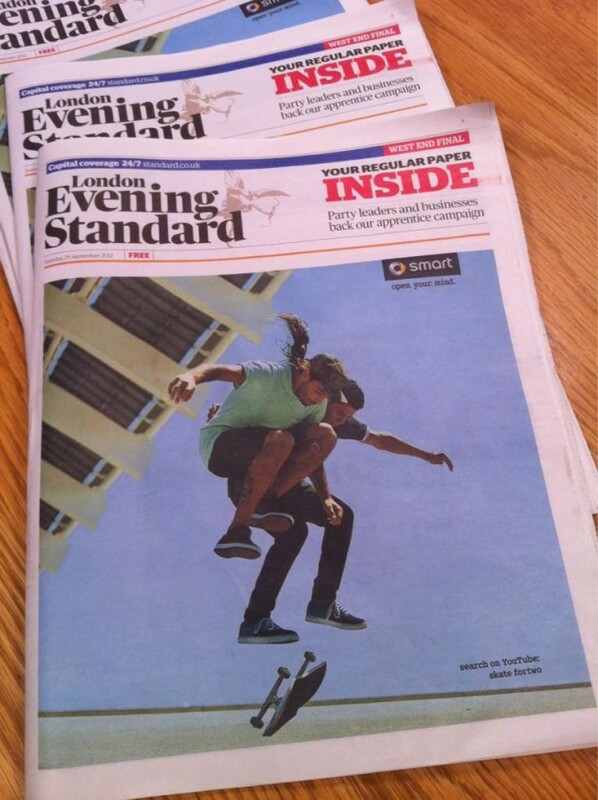 Yesterday’s front page news in the Evening Standard in London featured Kilian Martin and Alfredo Urbon skating a longboard for a new advert to promote the new Smart Car. It simply says, search youtube – skatefortwo. They certainly do that, there’s no denying it, but will this start a new trend of doubles in the parks of London? Will Hyde park have a new trend? Do we care? Of course not, but this is firstly a hilarious way of depicting what skateboarding is to people who don’t know and secondly a kick in the teeth for those who cringe at what skateboarding is becoming again due to mainstream exposure. Freestyle skateboarding back in the 80’s was sneered at and laughed out of the parks but what came from that was an era of change. 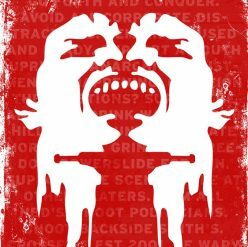 Players like Rodney Mullen upped the game by taking his flatground moves to the streets and the 90s flourished as a result. But this, maybe it should stay as a game for two, as yesterday’s news and today’s chip paper.